Jennifer serves as the Elios Financial Group Operations & Client Services Associate. 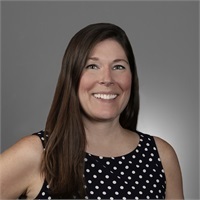 Jennifer manages all client operations and ensures that all financial plans, investment accounts and all client requests are handled and maintained in a highly organized manner. Experience: Jennifer is an experienced financial services professional with over 20 years in the financial services industry. Jennifer has extensive experience in operations, compliance, administration and sales in the investment and insurance industries. Previous experience includes tenure as a Registered Sales assistant for UBS Financial Services in New York City and Cleveland, Ohio and Senior Operations Analyst at New York Life. Education: Jennifer graduated from Bowling Green State University with a Bachelor of Arts in Business Administration. Jennifer is securities registered through FINRA and holds a Series 7 registration. Jennifer also holds an Ohio Life, Health & Variable Annuity Insurance license. Personal: Jennifer is a graduate of North Olmsted High School & resides in Westlake. Jennifer enjoys spending time with her nieces and nephews.